What are Fuel Efficient Tires? Fuel efficient tires have low rolling resistance that require less energy than standard tires to propel them in the direction of travel. The easier it is to roll the tires, the less heat is generated, and the less fuel needed to propel the vehicle. When tires heat up the tread will wear more quickly. 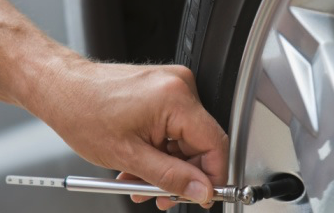 Increasing the mileage you receive from a tire, decreases the frequency you need to replace your tires. Less tires being disposed of is a good thing! Fuel efficient tires, or low rolling resistance tires are referred to as “green tires” or “eco-tires” because they contribute to saving a non-renewable resource and reducing harmful emissions. How are Tires Made to Roll More Efficiently? Over the years, tire designers have found ways to make tires roll more easily. One way is to reduce the weight of the tire. This can be done by using less material, or by using lighter materials. Another way is to use innovative materials like silica in the tread compound. Silica and other additives can reduce the amount of unnecessary friction on the road surface. Tire manufacturers such as Nokian put an emphasis on the environment and sustainability. Nokian uses only purified oils in their tire manufacturing, using no toxic or carcinogenic chemicals for tire production. The tread pattern also has an impact. Small tread features arranged in circumferential rows around the tread typically roll more efficiently. Finally, fuel efficient tires are usually designed to have stiffer sidewalls. Stiffer sidewalls reduce the amount of heat generated by the tire. Since less heat results in less energy consumed, stiffer tires are more fuel efficient. Another important consideration for optimal fuel economy, regardless of the type of tire on your vehicle, is maintaining the correct air pressure. According to the U.S. Environmental Protection Agency, under-inflated tires can reduce fuel economy by about .2% for every 1 psi below the recommended air pressure. The reason is under inflated tires have more flex in the sidewall, which creates more heat, and lost energy. So if your tires are even 5 PSI under-inflated, you are losing at least 1% in fuel economy. This does not mean that higher inflation, above the recommendation, is a good idea. While this solution does reduce the amount that the tire flexes, and the amount of rubber in contact with the road, this solution comes with too many trade-offs. For example, an over-inflated tire will wear faster in the center of the tire, have less traction, and will negatively impact the ride comfort and handling of the vehicle. It is always better to keep the air pressure at the vehicle manufacturer’s recommendation indicated on the panel on the inside of the driver’s door. How Much Gasoline Will I Save? There are many factors that impact fuel economy, besides the correct inflation. The largest factor is driving habits. If you are the type of driver that accelerates fast and brakes hard, or are in a lot of stop and go city traffic, you will use up a lot more fuel than drivers that accelerate and brake smoothly and gently. Good driving habits like this can save as much 10% in fuel economy. Fuel efficient tires have a significant impact too. The typical low rolling resistance tire should save somewhere between 1.0% and 4.0% per gallon compared to a traditional all-season that does not have low rolling resistance features. Using the current (Sept 2016) average of $2.20/gallon, the typical driver of the average domestic sedan would save approx. $30/year by choosing these types of tires vs standard tires*. Over a four or five year life span for a set of tires, this can easily add up to the equivalent value of getting one tire free. The Goodyear Assurance Fuel Max is one of the most popular and heavily promoted “green” tires. They come in a range of sizes for all types of cars, minivans, SUVs and trucks. With the Goodyear Assurance Fuel Max you get confident traction in changing weather conditions, but with the added bonus of enhanced fuel savings. According to Goodyear Tire’s internal testing, you can save up to 2,600 mi./4,000 km worth of gas over the life of 4 tires**. 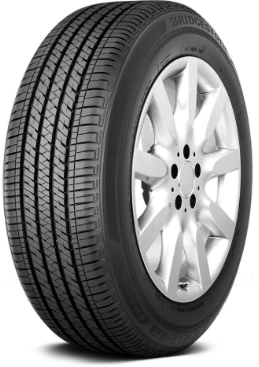 The Bridgestone Ecopia EP422 Plus is another popular model of super fuel efficient tires. According to Bridgestone, it can save you up to 20 miles per tank of gas compared to a typical Bridgestone tire. 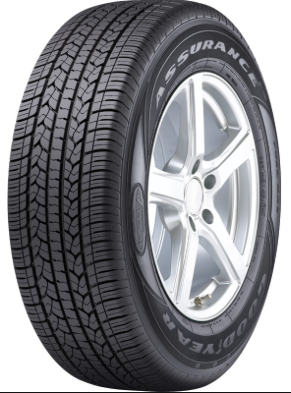 The Bridgestone Ecopia EP422 Plus is just one of the many Ecopia fuel efficient tire styles. All Bridgestone Ecopia tires are lighter, and use materials specially designed to reduce the amount of friction and heat generated as the tire rolls. Since there are many different Bridgestone Ecopia tire styles, you won’t have a problem finding one for your vehicle. Where Can I Buy Fuel Efficient, Low Rolling Resistance Tires? Continental CrossContact LX20 with Ecoplus. You won’t be disappointed by our huge selection of these, and other tires at the best possible prices! ** See Goodyear.com for details about their test results.